Has a dual swivel foot base. 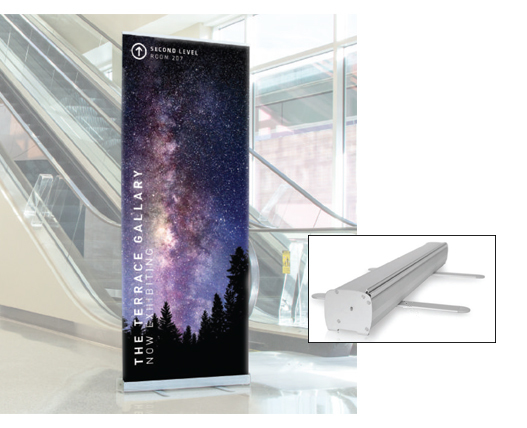 The Classic Retractable banner stand is portable and sturdy. Lifetime warranty on hardware against manufacturer defects. Includes a padded nylon carrying case. Graphic is stored in the bottom of the unit and easily rolls up and hooks to the self-storing tension pole.